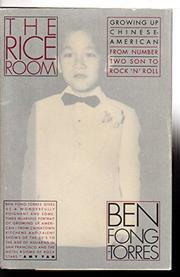  A tender, sometimes funny memoir by a son of Chinese immigrants who became a writer and Rolling Stone editor. Fong-Torres (Hickory Wind, 1991) got his unusual name--``the greatest by-line in the world,'' one colleague said--from his father, who bought a Filipino birth certificate to circumvent immigration laws. Growing up in Oakland's Chinatown in the 1950s, the author and his siblings worked in the family restaurant (hence the title) and were sent to learn Chinese culture after school, ``but my heart was elsewhere.'' Mad magazine and Elvis Americanized him, and he became a high school writer and stage cut-up. At San Francisco State, he was a DJ and newspaperman, and found himself, in the midst of mid-60's turmoil. In between tales of his siblings and their attempts to leave the nest, Fong-Torres tells amusing, if somewhat overwrought, stories of his romantic struggles with Asian and non-Asian women. He got his Rolling Stone ``dream job'' shortly after it began in 1967 and also moonlighted on a Chinatown paper. Though Fong-Torres tells a few anecdotes about the likes of Janis Joplin and Ray Charles, he mostly skates over his rock experiences. Rather, he recounts the tragedy of older brother Barry, a youth worker killed in a 1972 Chinatown gang war, and his own effort to grow close to his reticent parents, interviewing them before his 1982 trip to China to work on a documentary. Fong-Torres concludes that his parents' Chinese ways actually produced hard-working, decent children. An enjoyable, thought-provoking tale of family ties and cultural identity, but rock 'n' roll fans may be frustrated by the author's emphases.